Strange you may think -making Chrismas items in January......... but Melinda in my Cocorico Bee asked for Christmas quilt blocks! It was actually perfect timing as the holidays just ended and my mind was filled with ideas. 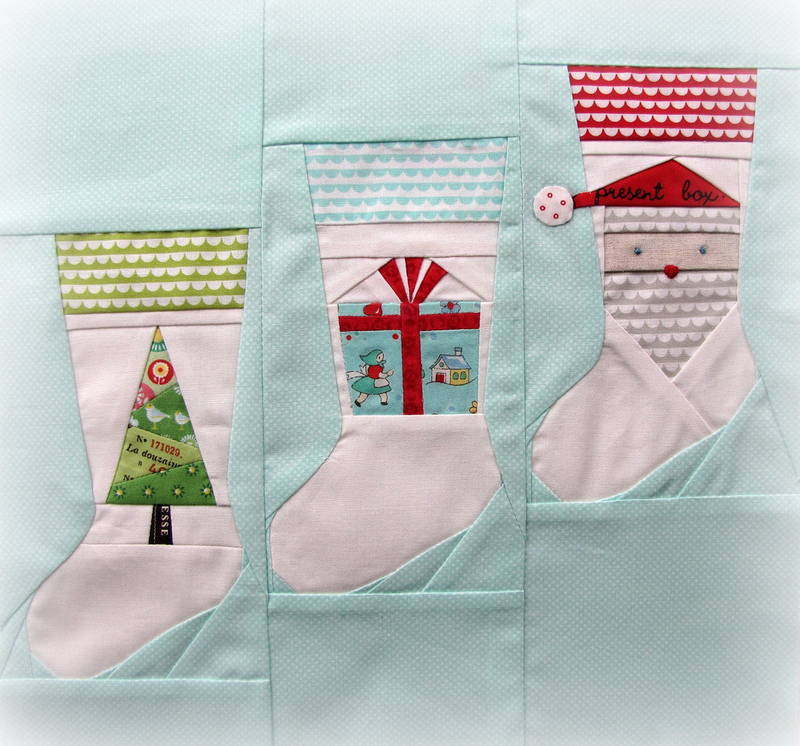 I decided to make stockings for her family. Beautiful! Your piecing is immaculate! They are so good Charise, and each with their own personality for the recipient! Beautiful work Charise. I love each of the designs for a different reason and am impressed that you threw in the curved seams. i am still so stunned by this. it is so perfect it makes my heart skip a beat. thank you, thank you. Another winner! I am so totally inspired by you - thank you!!!! WoW! Love it! Do you design your own paper pieced patterns? Is it hard to do? I love to paper piece when I get a chance!